You are here: Home / Poker Strategy / [QUIZ] Which Upswing Poker Training Course is Made for You? Have you considered upgrading your skills with an Upswing Poker training course? Read on! Take this quick quiz to find out which course is best for your poker playing needs, or keep scrolling for a breakdown of each course. What game type does this course cover? Who will benefit most from taking this course? What exactly is inside the course? What is The $7 Postflop Game Plan? Mini training course that breaks down how the pros approach postflop strategy in plain English--no complex poker speak. No Limit Hold'em cash games and tournaments, both live and online. Doug Polk and Ryan Fee. 40 minutes of video content, and most videos are accompanied by text content outlining the strategy. The course concludes with an exclusive Play & Explain video featuring Doug Polk in which he demonstrates the strategy you just learned in the course. What is the Upswing Lab? Extensive training course that is updated every month with new videos and resources. 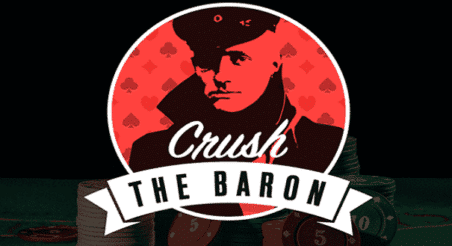 No Limit Hold'em cash game and tournaments, both live and online. 59 learning modules (130+ hours of content) each covering a different poker topic. 156 Play & Explain videos (80+ hours of content) with the coaches demonstrating the Lab strategy. Downloadable resources including HUDs, filters, reports, and more. In-depth preflop ranges for open-raising, vs open-raise, vs 3-bet, and cold 4-bet, with different ranges for tournaments, live cash, and online cash. BONUS: All members gain access to our exclusive community: Upswing Poker Engage. What is the PLO Matrix? A revolutionary preflop tool for Pot Limit Omaha that shows you how to play any starting hand with two clicks. What game type does this tool work for? Pot Limit Omaha cash games and tournaments, both live and online. Who will benefit most from using this tool? Pot Limit Omaha players looking for a shortcut to a better preflop strategy. What exactly is the tool? An easy-to-use preflop guide for PLO. Check out a demonstration here. What is the PLO Lab? Comprehensive training course based on cutting-edge Pot Limit Omaha strategies and research. Pot Limit Omaha players looking to take their game to the next level. The course is also perfect for No Limit Hold'em players looking to transition to Pot Limit Omaha. In fact, the first section (PLO Bootcamp) was made for such players! 58 PLO theory videos covering general concepts and specific strategies (22 hours of content). 46 Play & Explain videos so you can watch a PLO expert demonstrate the strategies you learn. 21 downloadable resources including preflop ranges, HUDs, quizzes, and more. What is Winning Poker Tournaments? Advanced training course for poker tournaments with cutting-edge strategies explained by one of the world's best players. No Limit Hold'em tournaments, both live and online. Live tournament players who play $400 buy-ins and higher. Online tournament players who play $11 buy-ins and higher. Cash game players who want to hop in and dominate tournaments. Long answer: Check out our Winning Poker Tournaments Preview & Walkthrough here. Nick's personal Preflop Mastersheet, which contains 250+ charts for 6 different stack depths. 14 hours of video from Nick discussing tournament strategy and dynamics. 13 hours of hand analysis covering hands from a $25k WCOOP, $10k SCOOP, $1M One Drop, and more. Join Nick and Get Winning Poker Tournaments Now! What is Elite Cash Game Mastery? Advanced cash game training course based on thousands of hours of game play, solver research, and opponent analysis. No Limit Hold'em cash games, both live and online. Educa-p0ker is an online poker legend with a $2,000,000+ graph and an insanely high win-rate versus the world's best players. Andres’ graph of dollars won since 2015. Live cash game players who play $2/$5 and higher. Online cash game players who play 25NL and higher. Long answer: Check out our Elite Cash Game Mastery Preview & Walkthrough here. 25 hours of cash game strategy videos from Educa-p0ker (with more coming soon). Downloadable resources including a HUD (for PT4 and HM2), reports, filters, and a Notecaddy file for HM2. What is Advanced Heads-Up Mastery? Extensive training course covering every aspect of heads-up No Limit Hold'em. No Limit Hold'em heads-up cash games and sit and gos. Doug Polk, who has reached the top of the heads-up food chain. Note that this course is not just for heads-up players because understanding wide-range situations applies to all forms of poker. Heads-up cash and HUSNG players who play $25 buy-in games or higher. Online and live cash game players who want to improve at shorthanded play. Tournament players who want to be prepared for heads-up and shorthanded play. Note that this is a slightly outdated walkthrough. We have since added downloadable preflop ranges, downloadable heads-up math, and several videos. What is Mixed Games Mastery? Comprehensive mixed games training course covering 5 of the most common and important game types. Jake is a feared mixed game specialist with over $1.4 million in online winnings on PokerStars alone. We also highly recommend this course for any poker player looking to transition to mixed games. Again, I think it's better I let the instructor of the course show you around. Watch below.